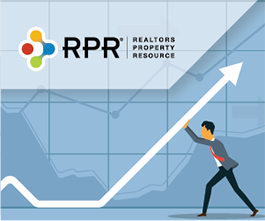 NAR PULSE—Introducing the 2018 webinar lineup from Realtors Property Resource® (RPR®). Each workshop will cover one essential aspect of a real estate agent’s business, showing agents how to use RPR data and reports to realize the full potential of every transaction. Learn more. NAR’s REALTOR® Safety Program published a new video, “Personal Safety Tips for Real Estate Professionals,” that highlights safety protocols all REALTORS® should implement into their daily routine and follow with every client, every day, every time. Watch the video here and be sure to share it with your agents. Failing to track your business mileage is leaving money on the tax table. QuickBooks® Self-Employed has a solution. Easily track your miles, plus capture receipts and categorize expenses. Enjoy a 30-day free trial and then 50 percent off the first year through the REALTOR Benefits® Program. Learn more.